We all have made PowerPoint presentations and fretted over time just to get the templates and the design right. It takes a lot of time and the focus shifts from the presentation to its templates. By using presentation templates you can save a lot of time from pre-existing graphics and themes and focus in your presentation content, the speech and rehearse the presentation. Even if there are paid services to download PowerPoint templates, presentation bundles and all kind of graphics to use in your presentations, there are also free resources where we can get access to thousands of free presentation templates and slide layouts. One of these free resources online is FPPT.com, with a large compilation of free templates and free PowerPoint backgrounds that you can access immediately and use to make your presentation. You will get tons of templates for free which are designed to delight and you can choose the one which suits your needs the best. Along with ready to use templates, you will also get hordes of pictures, illustrations and animations that you can use to make your presentation lively. 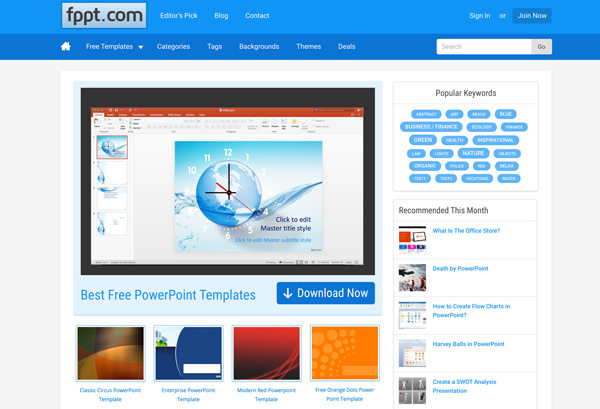 This is one of the most important advantages of using the services of Free PowerPoint Templates. You simply don’t need to worry about designing the template. It is readily available through the site. You just have to focus on the content of your presentation and emphasize on giving a strong presentation. There is no amount of time and effort spent on creating a template. At times, you might have faced problems with different PowerPoint versions where a particular theme is not compatible. You will never face such a problem with the templates from free PowerPoint Templates. All the themes are compatible with major versions of Microsoft Office and you can use them in any way you like, either on Mac or PC. Although PowerPoint is the most used software for slides, there are many other software tools such as Keynote, Google Slides and Open Office. 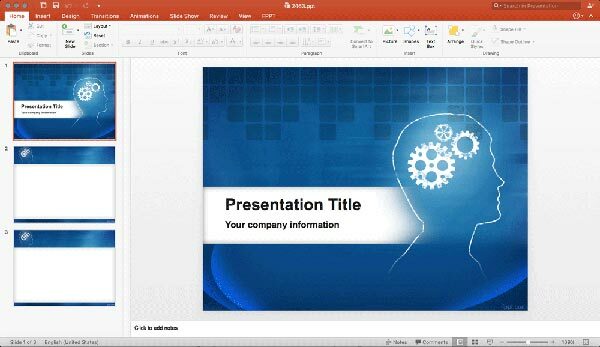 You can easily use your PowerPoint templates into any of the other software templates you like. No matter which software you use, the templates can be easily converted. You can be completely assured of the type of themes and templates you will be getting from free PowerPoint Templates. There is a huge collection of templates and even the categories are divided specifically to make navigation easier. Even the search mechanism facilitates ease in finding different templates as per your needs. There is a buzz phrase introduced a few years ago that refers to Death by PowerPoint. This concept refers to a boring, sleep inducing presentation, which suffers from poor use of presentation software and culprits PowerPoint. However, the term might also be loosely associated with other presentation applications to highlight a horrible presentation in general. Even if a presentations filled under the concept Death by PowerPoint can be basically a bad presentation that nobody enjoys, it is possible to fight Death by PowerPoint by creating stunning and engaging presentations that delight the audience. Picking the proper presentation template for the right presentation topic can help to deal with this issue. Using a resource like FPPT you can get thousands of free templates, designs, images, illustrations and animations, to help you making the presentations more interactive and impactful. Free PowerPoint Templates avails you with PowerPoint valuables that you can use without any hassles. The next time you have to deliver a presentation, consider using the right presentation template to save time and effort. At FPPT you can get awesome presentation backgrounds and templates, all for free and with direct download option available. No need to waste time on things those are already available. Why reinventing the wheel? Once you have the templates and design ready, you can then focus completely on your slide content, presentation speech and improve your people engaging skills. Free PowerPoint Templates is a time saver tool for those who have to give presentations frequently and also works wonder for those who are trying it for the first time. Next: How SEO Helps Your Business?